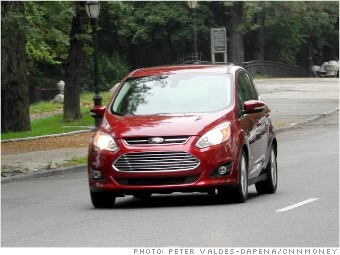 Ford's new hybrid gets 47 mpg, it will fit all your stuff and, believe it or not, it's a kick to drive. I looked forward to my introduction to the new Ford C-Max hybrid wagon with all the of the eagerness and excitement as I have for a new tube of toothpaste. In other words, not much. We're talking about a tall hybrid wagon here, a vehicle that should be all about functionality and fuel efficiency. In other words, it should be boring. But, somehow, it isn't. Not only is it incredibly fuel efficient (Yes, those fuel economy figures you see are correct.) It's also fun. No kidding. It's quick. It's responsive. It's actually kind of a blast.